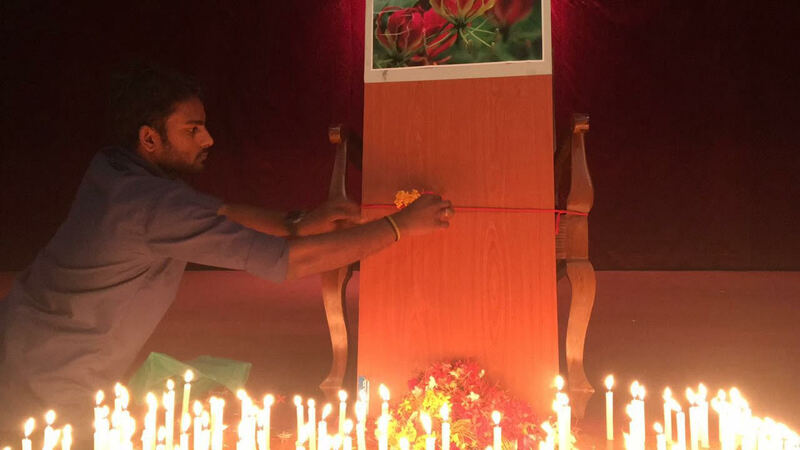 Students and staff at the University of Jaffna marked Maaveerar Naal (Tamil national remembrance day) on Friday, lighting candles in memory of those who gave their lives to the Tamil struggle. Trees were also planted on the university grounds by a monument commemorating those 'who had sacrified their lives for freedom'. The monument was initially erected in November 2006, however was vandalised by Sri Lankan security forces. In the evening 'dheepams' or lamps were placed along the entrance and paths around the university grounds. The lighting of lamps in the days ahead of Maaveerar Naal had been practised by Tamils as an act of remembrance for many years, however Sri Lankan forces had over recent years warned that anyone lighting lamps or tolling bells at places of worship could face arrest.